Whenever Edgar is craving for paella, we would to Eastwood to have his favorite all-meat paella and whenever I crave for longganisa, I would drag him to Kapitolyo to have my favorite longsilog. That is why both Edgar and I were so intrigued about this paella dish made with longganisa in Bonifacio Global City. From Pasig, we drove to The Fort Strip in BGC to sample Sunshine Kitchen's Cabanatuan Longganisa Paella. 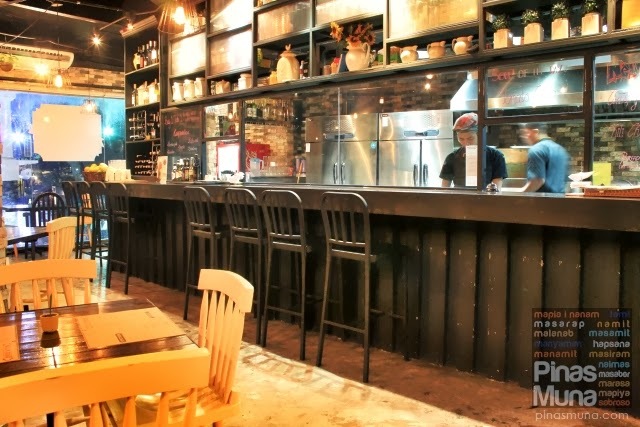 The restaurant, which opened early this year, is owned by Chef Tanya Chua. Unfortunately, Chef Tanya wasn't at the restaurant when we visited, but we were welcomed by her very attentive staff headed by Ms. Cake. 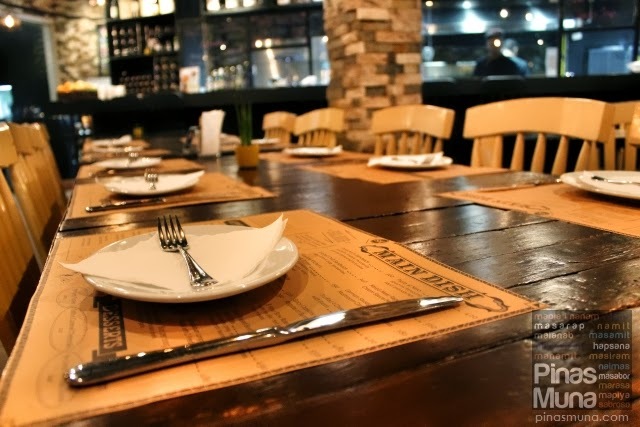 Sunshine Kitchen serves mainly Italian, Spanish and American. Paella in particular is a Spanish dish, but because of our Hispanic heritage, paella has become an integral part of Filipino cuisine with its regional variations such as the Biringhe of Pampanga and the Valenciana of the Visayas. 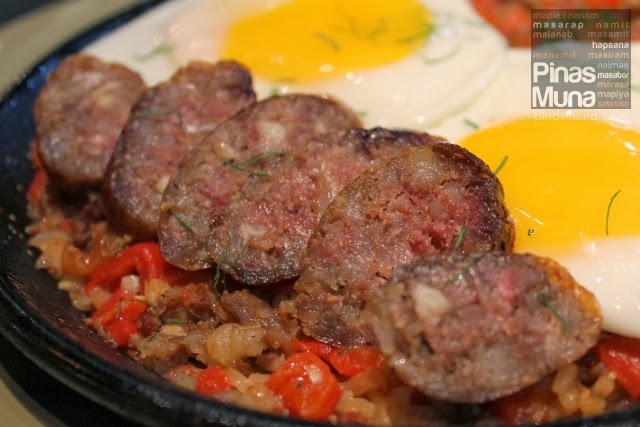 Sunshine Kitchen's Cabanatuan Longganisa Paella is a great addition to this list. We like the simple idea of the dish. Sausages have always been a common ingredient in paella cooking, so why not use a local sausage. 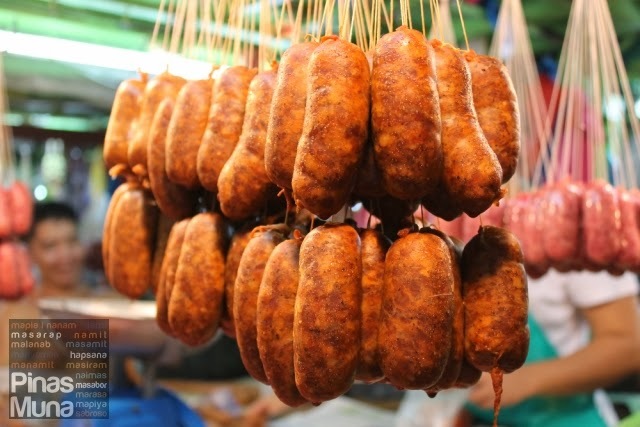 Cabanatuan Longganisa (the garlicky variant) is one of our favorite longganisas because they are very flavorful. According to Chef Tanya, this characteristic of the Cabanatuan Longganisa is what makes it the perfect choice of ingredient for their paella. Chef Tanya also shared that they use hand made longganisa straight from Cabanatuan City, Nueva Ecija which is also the hometown of one of the restaurant's partners. Another interesting aspect of this paella is the use of sunny-side up eggs instead of the usual wedges of hard-boiled eggs as topping. 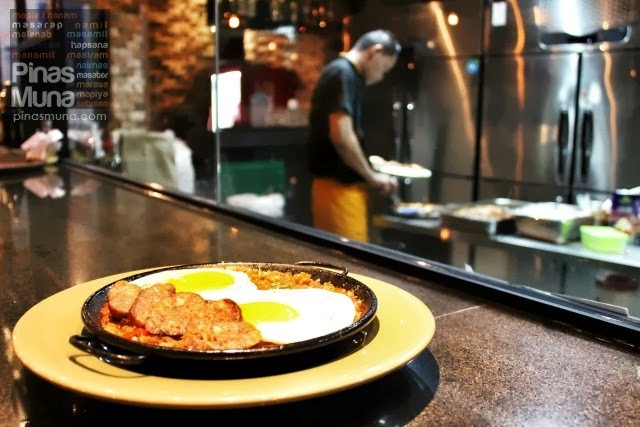 Sunny-side up eggs is always associated with breakfast which naturally gives this paella dish the image of a breakfast meal. 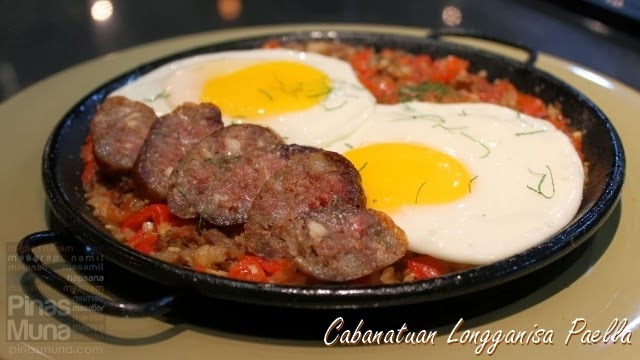 But just like tapsilog, which Filipinos nowadays enjoy eating at any time of the day, Sunshine Kitchen's Cabanatuan Longganisa Paella is a dish which we would love to eat as breakfast, as lunch or even as dinner. Sunshine Kitchen literally brings sunshine to our tummy through this dish, invoking the the sense of morning energy. Sunshine Kitchen's Cabanatuan Longganisa Paella is a welcome addition to our list of favorite paella dishes. The garlicky longganisa perfectly matched the paella. The serving size good for sharing and it is best paired with a glass of ice cold cola. We will never get tired of it for sure. Now I'm craving for it, I want to go back to Sunshine Kitchen and have the whole plate for myself. If you wish to try this dish, Sunshine Kitchen is located at the second floor of Fort Point Building 1, The Fort Strip, Bonifacio Global City, Taguig. For more details or updates, please like them on Facebook. yummy... kung tig-iisa tayo neto, mnakakahinga pa kaya tayo?